Global PR powerhouse Cision announced today that it is acquiring Dreamit alum TrendKite in a deal valuing the startup at $225 million. TrendKite’s suite of analytics tools uses artificial intelligence to help brands monitor and measure their PR efforts. With Trendkite, brand marketers can understand how their earned media and communications marketing efforts affect corporate reputation, website traffic, revenue growth, and other business outcomes. The acquisition comes at a time when enterprises and SMEs are doubling down on the resources they devote to earned media, the free word of mouth advertising that brands receive on social media, blogs, and major news outlets. According to a recent report, B2B brands’ investments in marketing communications and earned media is now on par with their paid media spend. This report indicates that the average B2B company spends 24% of its marketing budget on earned media while spending 25% on paid media. As brands continue to increase their investments’ in earned media, they are looking to solutions like TrendKite to track their campaigns’ ROI and make adjustments to drive better returns on marketing spend. Founded in 2013 by AJ Bruno, Matt Allison, and Patrick Brannen, TrendKite participated in the 2013 Dreamit program. Between that time and now, TrendKite raised approximately $46 million in venture funding. 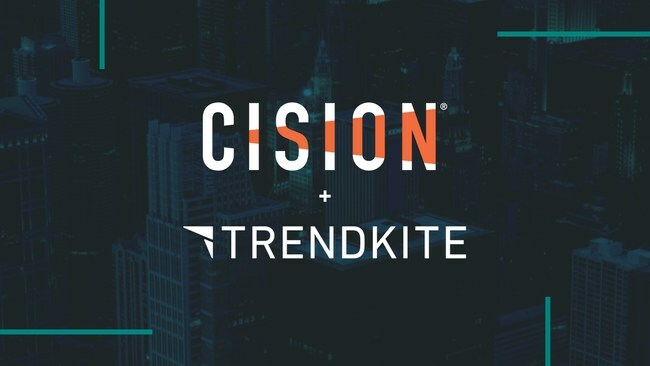 Though Cision plans to have TrendKite operate as an independent company in the short term, it will eventually roll TrendKite’s product into its Cision Communications Cloud. Dreamit Ventures is an early stage venture fund that accelerates startups building transformative tech products in the fields of healthcare, real estate/built environment, and security. Dreamit invests in startups with demonstrable traction that are looking to rapidly gain customers, initiate new partnerships and raise capital. Startups participate in one of Dreamit's three industry verticals: UrbanTech, HealthTech, or SecureTech. Founders meet with dozens of potential customers and partners on multi-city Customer Sprints™, pitch leading venture firms during Investor Sprints™, receive hands-on coaching, and gain access to a vast network of experienced alumni and advisors. Since its founding in 2008, Dreamit has accelerated nearly 300 startups, including LevelUp (acquired by GrubHub), Trendkite (acquired by Cision), SeatGeek, HouseParty, Adaptly (acquired by Accenture), Wellth, Biomeme, Tissue Analytics, Redox, Eko Devices, Raxar, and Elevate. Dreamit portfolio companies have raised over $800 million in follow-on funding and have a combined valuation of over $2 billion.